John has served as associate pastor of Staunton Grace since August of 2010. He has served with the Grace Network of churches since 1988. John is currently involved in pastoral ministry, worship ministry, youth ministry, and administration. He received a Bachelor of Arts degree in history from McDaniel College in Westminster, MD. Prior to joining the Staunton Grace staff, he had careers in the insurance industry (sixteen years) and as a teacher (six years). 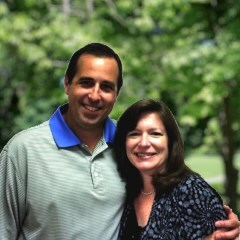 John and his wife Michele served at Grace Church of Fredericksburg in various leadership roles from 1989 through 1998. In 1998, God called them to help plant Grace Church of Richmond. There, John served as worship coordinator, bookkeeper, advisory council member, and later as an elder. John and Michele have been married since 1989 and have four children and one grandchild. Since May of 2012, John is also serving on the board of elders of Staunton Grace.